How To Get Great Content Ideas For Your Blog? Brainstorming for content ideas can be tough. You easily get distracted and everything seems to have already been written! To make matters worse, requirements to content concepts and titles have become much more complicated. With the growing importance of referral traffic, we now have to rethink title strategies and how they appear on social sites. 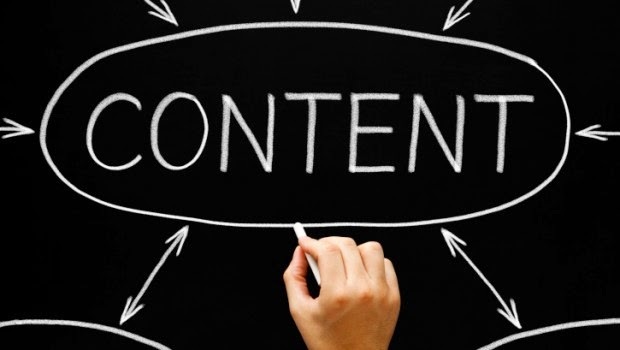 If you're feeling strapped for content ideas, here are a few that can help. When you let people share and comment on your site, you could end up with some great blog post ideas. Your readers might ask for more information about a specific item you didn’t cover clearly in your first post, or they might share their own opinions about the topic, which could make your fingers itch to write. Reading those bits carefully could make your blogging much easier. According to 2014 stats, more than half of all small businesses don’t have a website. As a result, your top competitor may not have a blog that you can follow. But that same competitor might be active on social media sites like Twitter and Facebook. The posts you find there could give you great ideas about topics you should cover. If you grab an idea from someone else, be sure to tweak it or amend it or somehow make it your own. Stealing outright could get you in hot water, both with your competitors and with Google. But borrowing a good idea could help you to come up with the story idea that’s been eluding you. People with reputation management problems are likely accustomed to the idea of using Yelp as an early warning system. When they see a poor review pop up, they know they must get to work generating content that either refutes or explains the complaint. But Yelp can also help you write blog posts about issues people either like or have questions about. Read through your reviews and look for items that get a lot of mentions. Not all Yelp comments will contain blog gems, of course. Some might just contain complaints or random bits of praise you can’t build on. But, watching the comments closely could give you some great ideas for writing that will really resonate. And ofcourse, nothing beats good ol' fashioned keyword research. This is a fundamental part of the writing process, as it helps you find the right terms which will perform better on SERPs. But more than SEO, your searches can also help you to find out what people are looking for, and that could give you some excellent blog post ideas. With Google AdWords‘ Keyword Planner, you can run a simple search on a topic you’re planning to cover. Your results page will give you keywords that are similar to the topic you’ve hit, but they come with just a few changes. We'll soon publish an entire section dedicated to keyword research in the SEO process, so stay tuned! Hi Qasim, Thanks for this post. As I got some ideas for getting content ideas. I usually get ideas for the posts from community forums likes Aha!NOW. And even sometimes by reading what others want from me which is none other than comments section as you mentioned in the post. Magnificent tips to concentrate on focused on activity from Web crawlers. I'll attempt to take after these focuses to get more focused on movement. Much obliged for the considerable sharing. how to research keyword in blogger? How to get best traffic plz help me i will wait your answer. Thank For sharing article. i read your article and i some ideas use for my great contact how to make blog . Thank you for sharing this ideas. This helpful and useful for Content writer. Here this post give good ideas for blog content that helpful for bloggers.